We have moved to a new location To help serve you, our valued friends and patients, better. The main purpose of this website is for communication. My name is Dr. William K Gibson, I am the author and designer of this website. 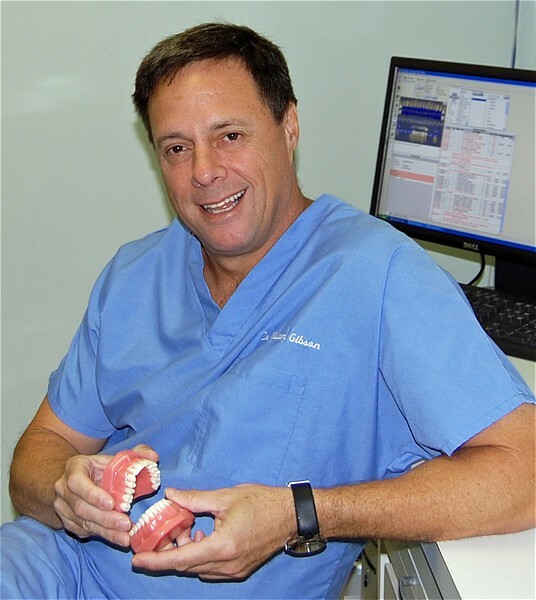 I have been practicing Dentistry in Naples for almost 30 years now. With today's technology going to the Dentist has almost become a pleasure. No fear is the word. All of the photos on this website were taken by me to show what type of dentistry is available. A picture really does say 1,000 words! We have a new dental assistant, Karie who brings a positive influence to our office. She is becoming an expert on methods of teeth whitening for anyone wanting a million dollar smile. The product of choice that we now provide is called Opalescence. You can dramatically whiten your front teeth in two weeks or less. Dr. Gibson is not an advocate of in-office bleaching as it can make your teeth sensitive and does not last more than a month or two. New patients can usually be treated the same day when in pain or an unexpected emergency arises. This time of year we reserve an extra hour per day for our out of town guests. Dr. Gibson is an Alumni of Miami of Ohio, Oxford Ohio and The School of Dentistry, Louisville Kentucky. For the nervous patient, we will make all the necessary arrangements for you to be sedated during your treatment procedures. In compliance with the new Rx laws in Florida we follow the guidelines strictly and provide sedation accordingly. your co-pay depends on what type of benefits are applied. If you have no insurance Dr. Gibson will work a payment plan if necessary. Referrals are greatly appreciated, thank you. And if you are traveling to another city be sure to check out Dr. Gibson's network of Associated Dentists located Nationwide, just click the "referring Dentist" link. Dr. Gibson belongs to a select Network of Dental Professionals that can provide solutions to even the most difficult cases instantly. "Dentaltown" is a uniquely effective tool for sharing solutions between Dental offices on a worldwide scale. We do whatever it takes to make your visit a comfortable experience. "It is not what happens to us that is important, what is important is my reaction to what happens."